Pucker Up with a Green Appletini! 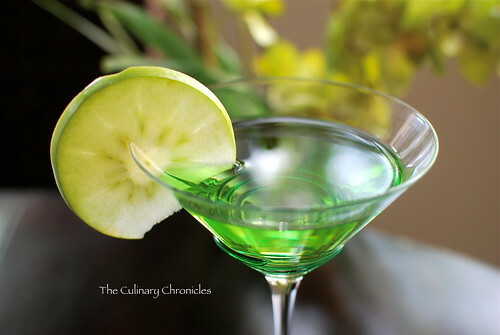 That’s what these delish Green Appletinis will make your mouth do! True Story. 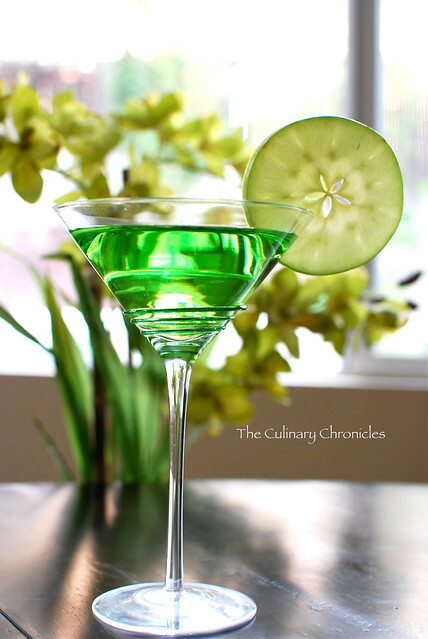 I’ve been making these martinis for years and they are always a hit. All you need is three key ingredients, a shaker full of ice, and you’re ready to roll. But it’s because of its simplicity that you really need to have quality ingredients. My vodka of choice? Always Grey Goose. My apple juice of choice? If not freshly pressed, than Tree Top’s Three Apple Blend Juice. Not only are these martinis a wonderful balance of sweet to tart, its lovely shade of green will be a hit for the holidays! Fill a cocktail shaker halfway with ice. Add vodka, schnapps, and apple juice. Vigorously shake for 15 seconds and strain into martini glasses. Garnish with fresh apple slices. Oh this looks so refreshing!! I bet it’s really good!! Might I say that the Farfalle you just posted looks mouth-watering! yes I’d definitely love this!! would be great for a country where summer lasts all yr round! Hi Hannah! These may be even better where summer is scarce—at least it will channel the warm weather! 🙂 lol. I’m not a cocktail drinker, but wow, what a great pic! !